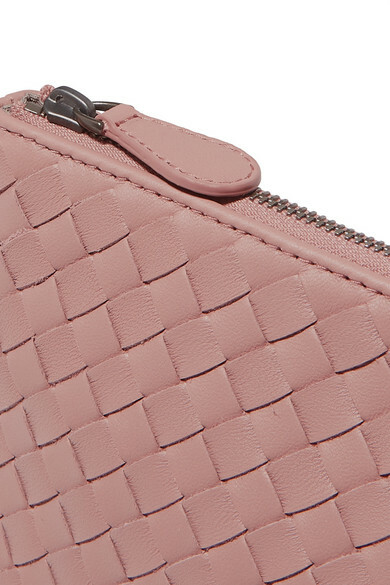 Bottega Veneta's intrecciato technique involves individually cutting and weaving together strips of supple leather. 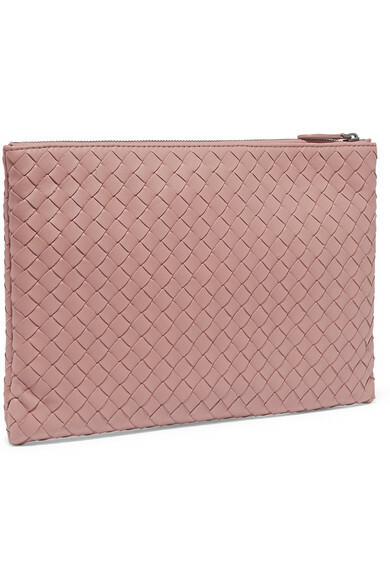 Made at the label's atelier in Italy, this slim antique-rose pouch is lined with durable canvas and has six card slots so you can leave your wallet at home. 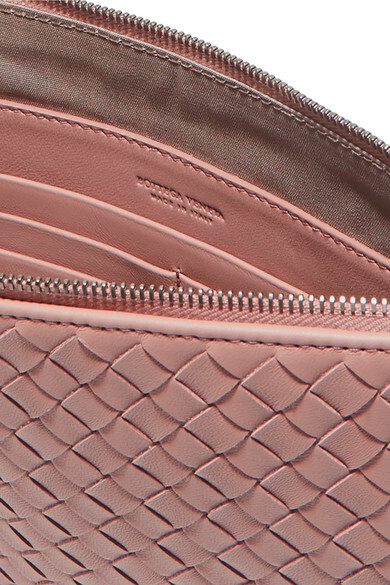 It fastens with a secure zip along the top. 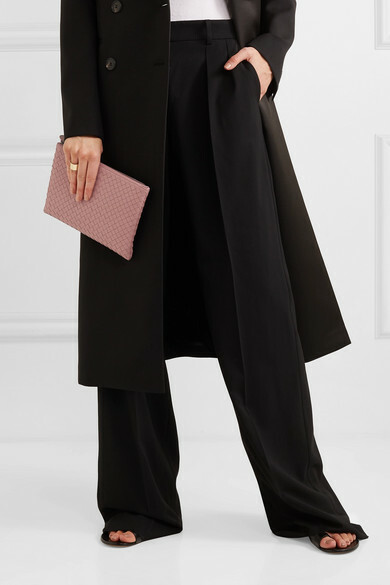 Shown here with: Max Mara Pants, Prada T-shirt, Victoria Beckham Coat, The Row Sandals, Laura Lombardi Ring, Jennifer Fisher Ring, Mounser Earrings.